The stage literature that Katalin THURÓCZY writes startes from what are apparently the natural-realistic practices belonging to the Hungarian theatre. The vivid line, the nerve and the sensibility of the spoken word are inducing the sensation that one has to face an extention of the daily life - but the surprises are coming fast, because Katalin THURÓCZY's plays are always opened towards the poetic, symbolic and metaphorical compass. The absurde, comedian figure, is sometimes more acute either sarcasm-oriented and is commun to all Katalin THURÓCZY's plays, being a powerful dominant of one's style. In Thursdayparty one faces an excessive, decadent play, a fresco of a world whose's sunset is already gone, but which does not want to die: the elders of Katalinei THURÓCZY are tenderly haunting, likewise an ethernal ghosts. The performance Thursdayparty is really about celebrating. At the Odeon Theatre, Katalin Thuroczy’s text receives the deliciousness and splendor of a royal treat. Thursday is the meeting day for those who know each other since times out of mind. In Zsuzsa’s home, around the table ( assumed to had been abundant once, having today a poorer menu), the old men and women gather weekly. The only way in their power to save their beings is to voluptuously abandon themselves into chattering and gastronomical pleasures. The only way to survive is to pump vital energy into their memories. From the 40 years ago high school graduation, to the husband’s adultery or from the officers’ military school up to the letters sent to Franz Josef and Queen Elizabeth, the characters direct their own past in a game always the same but somehow always different. The keystone of the play is the actors interpretation, magnificent, foamy, reaching the climax of the highest quality comic. A must see, songs to hum and to accolade! In the light of the sumptuous chandeliers, the “Afrim“ universe unravels from the very beginning: the apotheosized senile decay, painful in itself, is treated with excellent humor. The director, ruthlessly ravishes, impertinent and playful, all the clichés and taboos regarding the age of senility. Within the almighty ridiculousness, the director creates breaches of delicacy and profoundness. However painful and serious are the truths on helplessness, everything slides towards a succulent comic. Such a play is simply not to be missed. Chose between either the dimension that touches you or the one that entertains you. 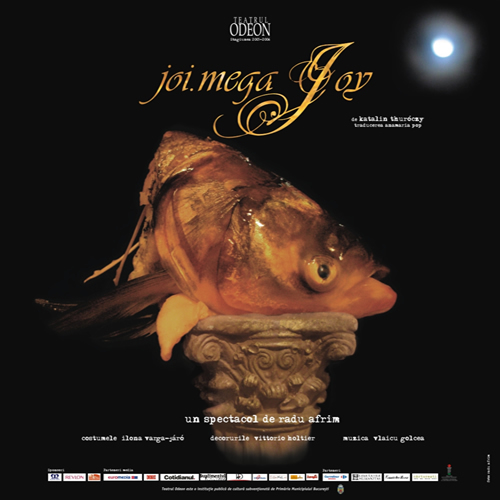 But do not miss the opening at Odeon. 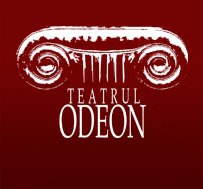 Such a play is a rare appearance on the stages of Bucharest. Radu Afrim found within the text an excellent material for his own inclination towards the detailed, succulent and savory description of different human beings and their existence, and he does that, in the performance with a voluptuousness that visibly transmitted to the actors, moreover, the topos of permanent flow of dishes, offers him the occasion, fully speculated, to exercise his appetite for a sort of surrealist rococo that tends to become his stylistic mark. For all, it is an epicurean and generous play, within which you have the sensation that everything unfolds with unspeakable pleasure: the text, the actors, the directing. Each of the actors, has their moment and takes advantage of this moment to fully unravel themselves. : Rodica Mandache, Dorina Lazar, Virginia Rogin, Irina Mazanitis, Liana Margineanu, Crina Muresan, Jeanine Stavarache, Ana Maria Moldovan to whom Tatiana Iekel joins with distinction, all of them seem to be in an open competition for the best actress prize, whereas Constantin Cojocaru, Virgil Andriescu and Alin Teglas are in competition for the best masculine part. Of course I am committing an injustice by taking note so swiftly on their contribution but, in this play the team is important. Or the team proves to be above any praise.